Robert Lewis Stevenson said: “Sooner or later, everyone sits down to a banquet of consequences.” Mississippi Power Company thought its Kemper County lignite plant would be Treasure Island. So did the popular Republican Governor who promoted it and the Republican Public Service Commissioners who rubber stamped it five years ago. But it’s turned out more like The Strange Case of Dr. Jekyll and Mr. Hyde. With strange consequences. DELAYED: Mississippi Power said Tuesday in a U.S. Securities and Exchange Commission filing that the gasifier’s online date will be delayed until after April 19.
cost $6 billion hasn’t run yet. But Kemper’s modified turbines have run on real natural gas. They cost about twice as much as conventional turbines. The PSC recently approved a 14% rate increase for them although they were not properly certificated (shown to be needed) or deemed prudent (shown to be good for customers). The resulting regulatory mess is a present from the old Republican PSC majority to the new Democrat majority which takes over next year. It may take them years to sort it out. It may also take years for the gasifier to run and to know the full cost of Kemper’s electricity. That’s probably why the company wanted the PSC (and the legislature) to make customers pre pay. It almost worked. The PSC approved an 18% pre pay rate increase with more to come. But it was overturned by the Supreme Court when challenged by Thomas Blanton, a Mississippi Power customer. Blanton and the Mississippi Sierra Club opposed Kemper from the beginning. They delayed the company’s “pay-me-now-in-case-it-doesn’t-work-later” strategy until it was obvious it wouldn’t work. And would be unaffordable in any event. Other customers including some heavy hitters (the Air Force and Chevron) have now weighed in. So the fight is no longer so one sided against customers. And the new PSC regulators may be less likely to favor the company. At least that’s what they said when running. Looks like tide is turning. Net metering. One strange consequence of the Kemper fiasco is the recent PSC decision authorizing Net Metering. This was the price extracted by the Sierra Club for dropping its litigation. The decision is probably a loss for Mississippi Power and for Entergy (more or less an innocent bystander). It is probably a win for electric utility customers who install solar panels to generate their own electricity. It requires utilities to buy their excess electricity. It is a win for solar panel manufacturers and installers and their lobbyists. But it may be a loss for customers who don’t install solar panels. Here’s why. The utilities lose because they lose their monopoly to generate and sell electricity. The monopolies are the source of their profits which are the source of their political clout. Now that customers can generate their own electricity and sell any excess to their utility, there’s some competition. Their utility must buy the excess at a price set by – yep, the PSC. So it’s not exactly free market competition. But it’s a start. A camel’s nose. The utilities liked things the way they were. Life was simple and good. Who knows how far this competition thing could go? Especially with new PSC commissioners who may think they are supposed to look after customers and the public interest. Customers who install solar panels probably win. Government subsidies have lowered their cost. Electricity from panels may be cheaper than residential rates. If the sun shines and panels produce excess electricity, the utility must buy it. If the sun doesn’t shine, customers can still rely on the utility which has to provide standby capacity. If the panels work as advertised, customers with panels may save money on power bills. Who pays for the subsidies and standby capacity? Everyone. If everyone doesn’t have solar panels, those who do win. Customers who don’t have panels probably lose. Too bad if they don’t have the money or credit or think panels are tacky. If the utility’s cost of excess electricity from the panels is higher than its cost to generate and deliver electricity and provide standby capacity, its cost goes up. All customers pay for the increase. This includes customers without panels who don’t get any benefit. But you think: surely the PSC can figure out the right price – the fair price. You might also think: customers who don’t have panels shouldn’t pay for standby capacity for those who do. Well, that gets complicated. Maybe too complicated even for competent PSC regulators. 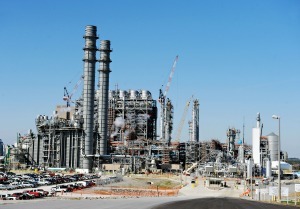 Have you noticed this PSC’s track record on Kemper? It hasn’t been able to assure that Mississippi Power’s customers won’t pay more for electricity than the cost from conventional natural gas turbines. That would seem to be fairly straight forward. But this PSC has tied itself in knots trying to justify much higher prices to pay for Mississippi Power’s Kemper mistake. Hopefully the new commissioners will untangle the mess and see that customers get affordable electricity. Safety concerns. Hopefully the new commissioners will also examine the consequences of operating the gasifier when it’s finished. There are unanswered questions about its safety. During construction there were unexpected failures of the reactor’s refractory lining. It protects the metal shell from the burning (1800°F) lignite and high pressure gases swirling inside. They are corrosive, combustible, and toxic. There could be a catastrophic explosion if the reactor shell fails. The company sued the engineer who disclosed the problem (and the untested on-the-fly fix) to muzzle him while cutting a deal to keep him quiet. Why? Would he say: you won’t know if the fix works until it’s tested under operating conditions. The new commissioners are not yet complicit in unexamined safety issues. If they want to stay that way, they could bring in the engineer to testify. It might save some lives.